This study document reviews the Bistolida-complex with specific reference to the sp. and ssp. along the north-eastern, eastern and southern coastlines of Africa and the adjacent islands. Some three decades ago in 1977, C.M. Burgess (1977) questioned the validity of some Bistolida sp. on the grounds of conchological similarities or apparent integrades (such as hirundo and owenii; brevidentata and stolida; erythraeensis and stolida; hirundo and neglecta). Much water has flowed under the bridge since then. One of the Bistolida sp. has since been split: stolida diauges gave rise to the sp. diauges and the ssp. 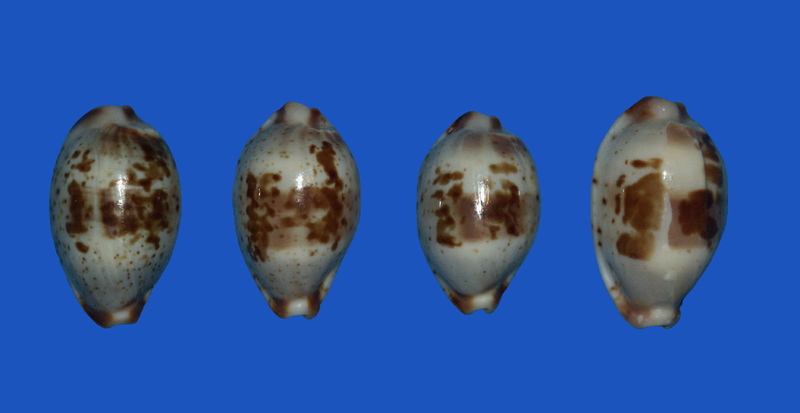 stolida clavicola. Two new Bistolida ssp. were described: stolida brianoi and stolida uvongoensis. As regards the Bistolida of Africa and its adjacent islands, several new localities have been identified which extend the peviously known distribution ranges. Possible integrades, forms and variants of the sp. and ssp. are now available for illustration and study. 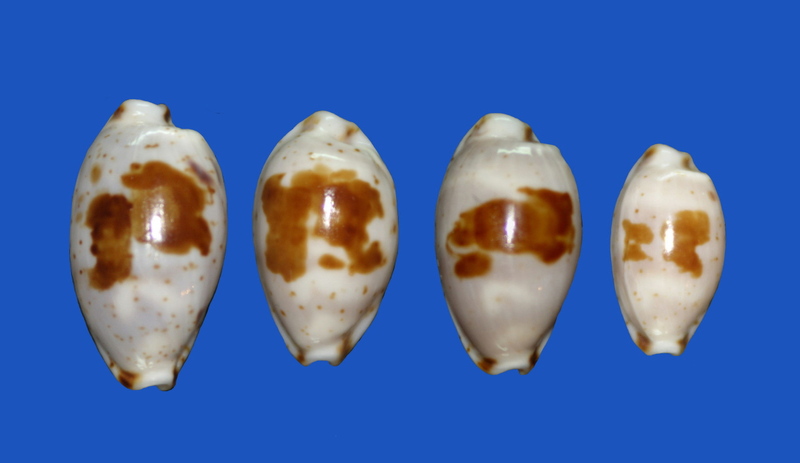 The status of the Indian Ocean's far north-western stolida specimens as true stolida stolida or as a ssp. or form of it, could be debated. Teeth: Rather strong, often numerous, often extending across the base. Dorsum: Nearly always with a bluish tint and irreglar blotches, patches or banding. Range: Red Sea and Indo-Pacific. Animal: The mantle is whitish, densely covered with dendritic, short, class 4 papillae. The siphon extremity is fringed. The protoconch with 3 – 4 whorls indicate a planctotrophic larval development. Radula is of the "stolida" type. The bursa copulatrix is present.The teeth extend onto the base. The fossula is marked and grooved. The sp. has an extensive presence in the Pacific region. [Plate 1] Though the bulk of specimens released onto the shell collector market originate in the Philippine Islands, the range is far more comprehensive and includes some far-flung localities such as the Line Islands (1,610 km to the south of Hawaii), Okinawa Island in Hawaii (in the channel between the main island and a small coral island off Torii Station), Vietnam, various reefs in the South China Sea, the R.O.C. (Taiwan), Hainan Island in China, Fiji, Tonga, Vanuata, New Britain, Guam, the Solomon Islands, the Chagos Archipelago, the Mortlock Islands in Papua New Guinea, the Andaman Sea off Western Thailand, South West Thailand, Aru Island in the Moluccas, Ceram in Indonesia, the Bidari Group in Malaysia, the Majuro and Ponape Atolls in the Eastern Caroline Islands, North West Australia, the reefs of Queensland in Australia and the island group of Wallis and Futuna lying about a third of the way from New Zealand to Hawaii. The range was originally given by Lorenz & Hubert (2000) as the Indo-Pacific but Lorenz subsequently restricted it to the Western and Central Pacific. More recently he referred to the "range of the Pacific stolida and the western clavicola" as being interrupted by stolida rubiginosa (GMELIN 1791) in the north-eastern Indian Ocean. However, stolida (whether it be s. stolida or stolida var.) is known to occur in the Indian Ocean region. [Plate 2] [Plate 3] In the Red Sea, specimens were found in a shipwreck off the Sinai Penninsula. Heiman is doubtful that the Sinai Peninsula is a true locality for Bistolida stolida. He maintains that the finds of specimens are sporadical and doubtful which indicate a mere possibility that the sp. is really living in the Gulf of Aqaba. On the far northern African coast it is found at Masirah Island in Oman and Massawa in Eritrea. It has also been found on Mahe Island in the Seychelles and Helengeli Atoll in the Maldives. Liltved recorded the most southern locality as Scottburgh in the KwaZuluNatal Province of South Africa but this might refer to either diauges, s. clavicola or the recently described s. uvongoensis. 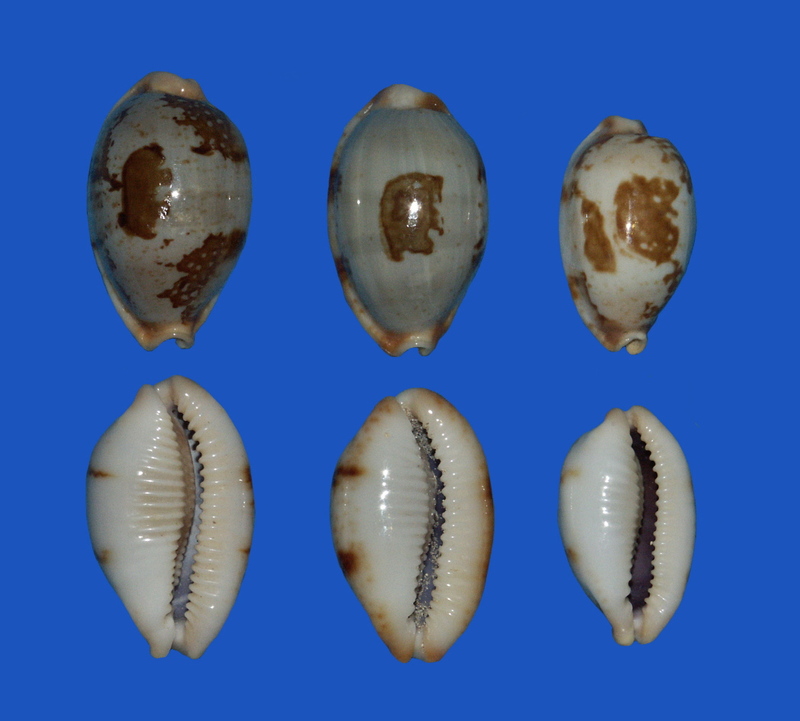 This misidentification might also apply to other finds of purported s. stolida as reported in Hawaiian Shell News: Hudhuveli and Kanifinolhu Islands in the Maldives, Fumba on Zanzibar, Tanzania and at Shimoni in Kenya. The habitat of s. stolida is the intertidal zone up to 25 m depth. The habitat appears to be invariably a hard reef with stone and coral heads. Saltzgaver studied the s. stolida of Guam and found deep-water specimens in a habitat of dome-shaped flat-bottom coral heads on a gently sloping bottom or in piles of smooth round rocks on a hard sloping surface. The bottom cover is usually short algal growth. In shallow-water he found specimens in protected areas such as bays and harbours, usually beneath slabs of dead coral, the bottoms of which are covered with sponge growths and other material. 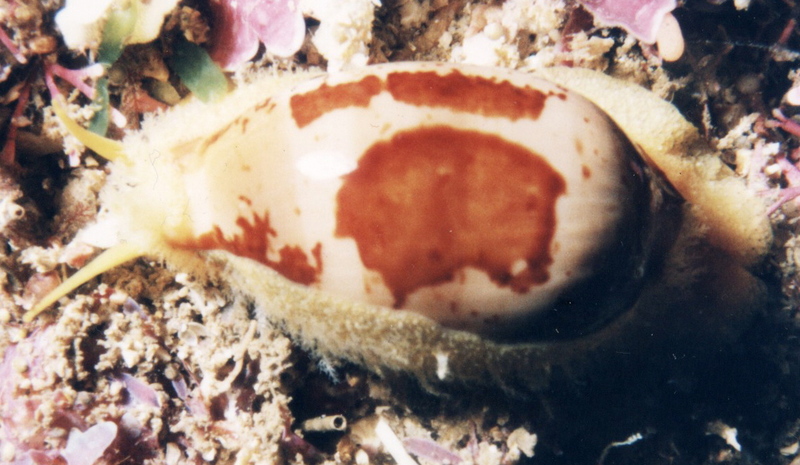 A photo of a live specimen in New Caledonia shows the animal has a pale yellow mantle. In Guam it shows a thin mantle of light tan to grey colour that reveals the shell. There is a big variation in colour of the animal itself: lemon to tan (Manilla), grey (Subic Bay in the Philippine Islands), lemon-pulp yellow (Dampier Archipelago), whitish-grey (northern Queensland) and red-brown (Kwajalein). Burgess describes the papillae as closely spaced, some spike-like with rose-thorn type branches. The siphon is fringed with long fingerlike processes and the tentacles are dull yellow-orange. 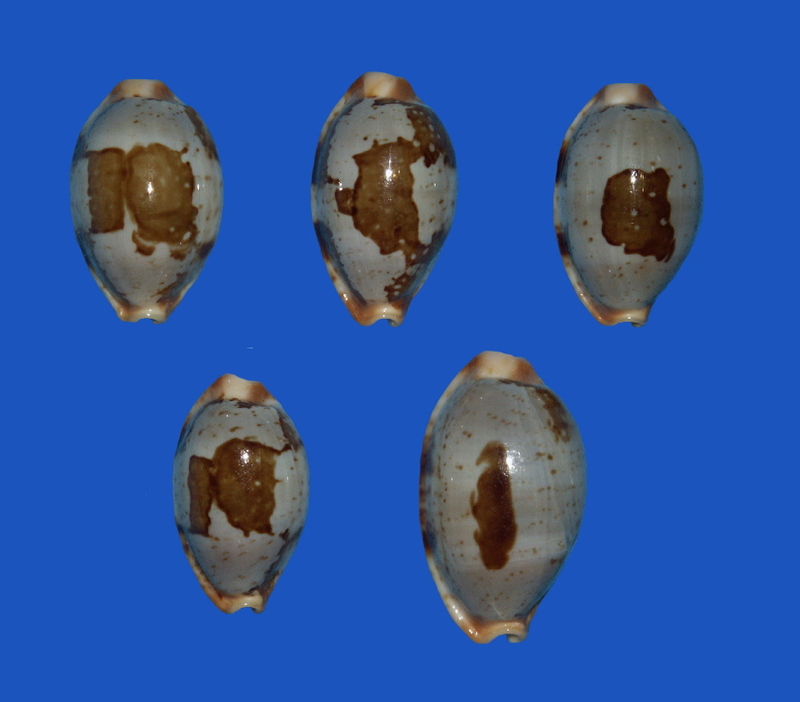 The shell of s. stolida is oval to cylindrical, with a flattened dorsal dome and rather callous and ranges in length from 15 – 36 mm. The teeth are strong. The columellar teeth are long, pale to brownish in colour. The dorsum is bluish and the base is yellowish. As for markings, the margins and tips are spotted with 4 blotches on either side. The marginal blotches usually connect with the compact, dark dorsal blotch. By comparison, the s. stolida and stolida var. of the Indian Ocean might or might not have marginal blotches and when present, these blotches frequently do not connect with the dorsal blotch. 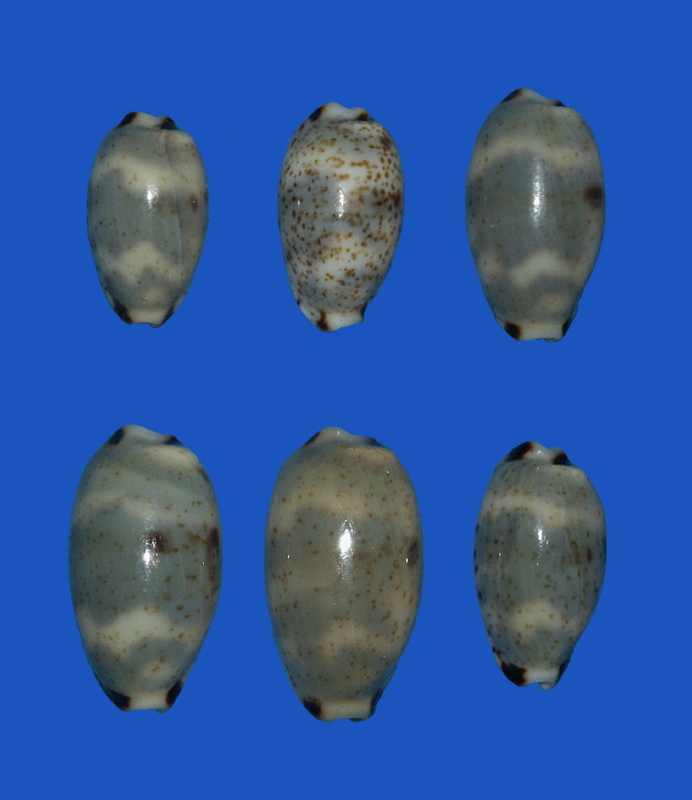 The immaculata pattern variation with an absence of dorsal and marginal blotches have been collected in the Seychelles and Oman. In some specimens the teeth are distinctly short and thick. The shape is sometimes quite angular (reminescent of s. crossei) and sometimes pyriform like that of diauges. Amongst the specimens that have been collected in the Maldives and Eritrea [Plate 4] are some with red-stained teeth and dorsum patterns resembling s. rubiginosa. These are not the true s. rubiginosa. Similar s. rubiginosa-look-alikes, specifically as regards the red-stained teeth, can be found amongst s. stolida populations in the Philippine Islands and Guam. 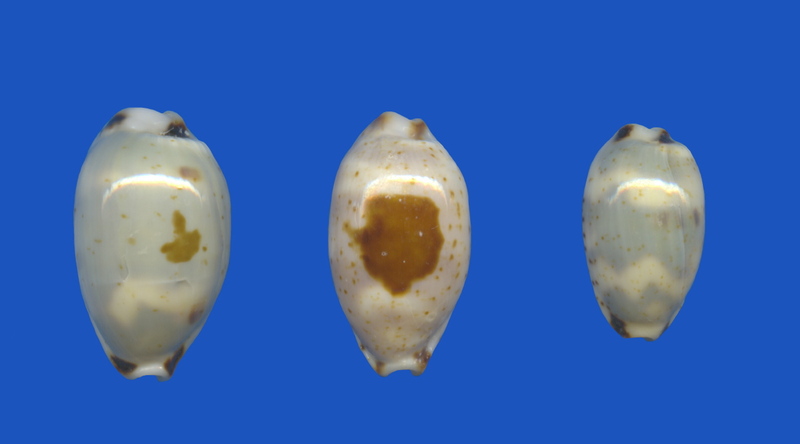 The Indian Ocean specimens deserve further study to determine whether they are merely interesting forms or variations of s. stolida (as has been recorded elsewhere, e.g. those resembling s. crossei amongst the s. stolida population of the Philippine Islands) or could be acknowledged as a ssp. of s. stolida. It would also be of interest to compare specimens taken in shallow water with specimes from deeper water (10 m +) to note whether differences in size and shape of shells could be related to water depth and bottom conditions as Saltzgaver(1974) suggests. These Indian Ocean shells are not commonly found and to gather a sufficient number from the region for a detailed study, will be difficult. 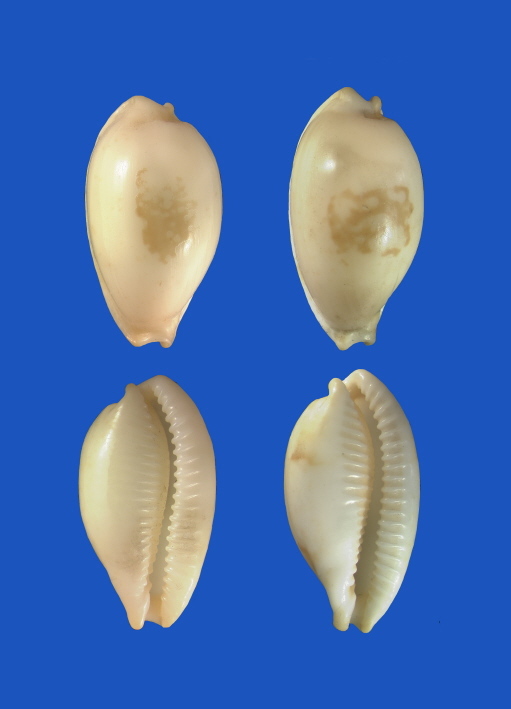 Despite the similarities of the animals, the differences in the shells offered sufficient justification for Lorenz & Hubert (2000) to split diauges to create a new Bistolida ssp. alongside it: stolida clavicola. The ssp. 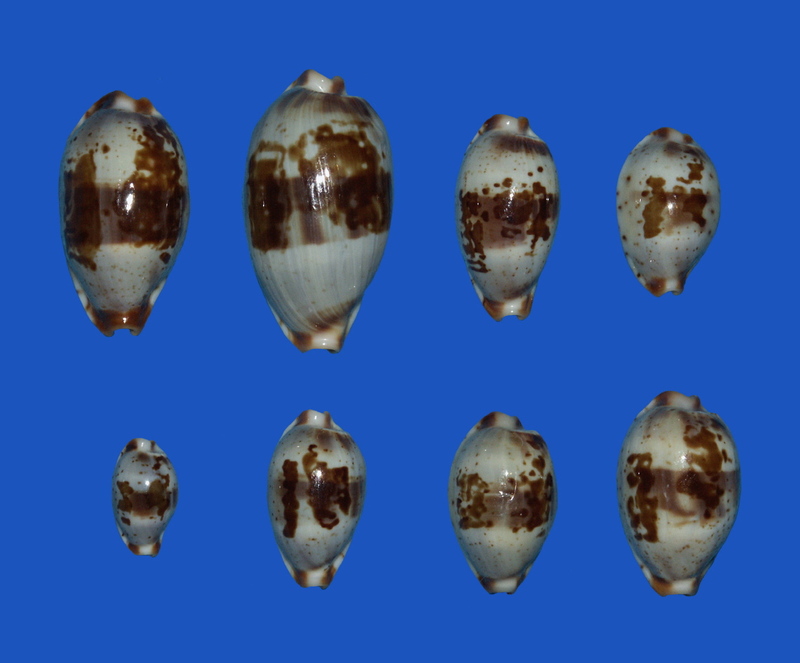 is the conchological link between the east African diauges and s. stolida from the Philippine Islands. One diver reports that when a live specimen is taken, the colouration on the posterior of the dorsum is so deep that it will obscure the blotch. Out of water, the colour fades rapidly to reveal the dorsal marking. The locus typicus is Nungwi Village in the north of Zanzibar, Tanzania. Specimens were subsequently reported from western Mauritius, Mombasa in Kenya, Nosy Be in Madagascar, Massawa in Eritrea and Mogadishu in Somalia. Specimens were also taken off the coast of the KwaZuluNatal Province of South Africa on the Aliwal Shoal (off Park Rynie) and off Pumula. The preferential habitat is narrow crevices in exposed, shallow reef areas formed by colonies of the scleractinian coral Pavona clavus. In the Seychelles, Jarret (2000) observed that s. clavicola favour sandy areas, usually under pieces of coral on sandy parts of reef. Along the coast of South Africa, specimens have been found 2 km off the shore at 20 m and as deep as 44 m on a low profile reef. On Aliwal Shoal the ssp. has been found along with scurra scurra (GMELIN 1791). Little has been published on the animal. Jarret (2000) describes the mantle as being extremely thin and pale fawn-grey in colour with the foot having a similar colour. Smith observed the mantle to be near translucent. A live specimen was photographed at Kosi Bay by dr. Dai Herbert, Head of the Department of Mollusca at the Natal Museum, Pietermaritzburg. [Plate 11] The Herbert specimen (Natal Museum NMSA S1748) was found on a coral reef at a depth of 20 – 24 m. The photo shows a mantle that is fawn-grey and it is densely covered with thin, short papillae. The foot is pale yellow. The tentacles are yellow, tapered from base to tip. The siphon is fawn-grey and appears to have fine brown speck and is fringed with short, thick processes. Though strongly reminescent of brevidentata deceptor (IREDALE 1935) in size, shape, colour and the character of marginal spotting but because of its geographic proximity to s. clavicola, dr. Lorenz has provisionally assigned s. brianoi to the Bistolida. 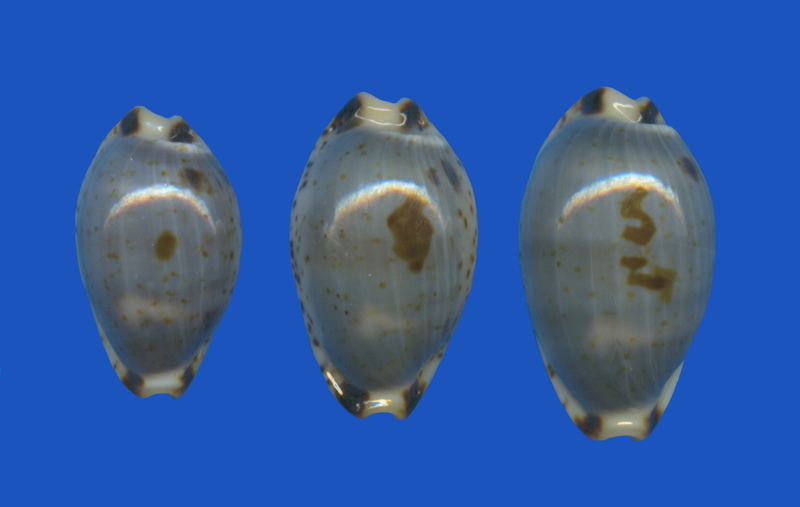 It is the conchologial intermediate between stolida and brevidentata. The animal has not been studied and described. 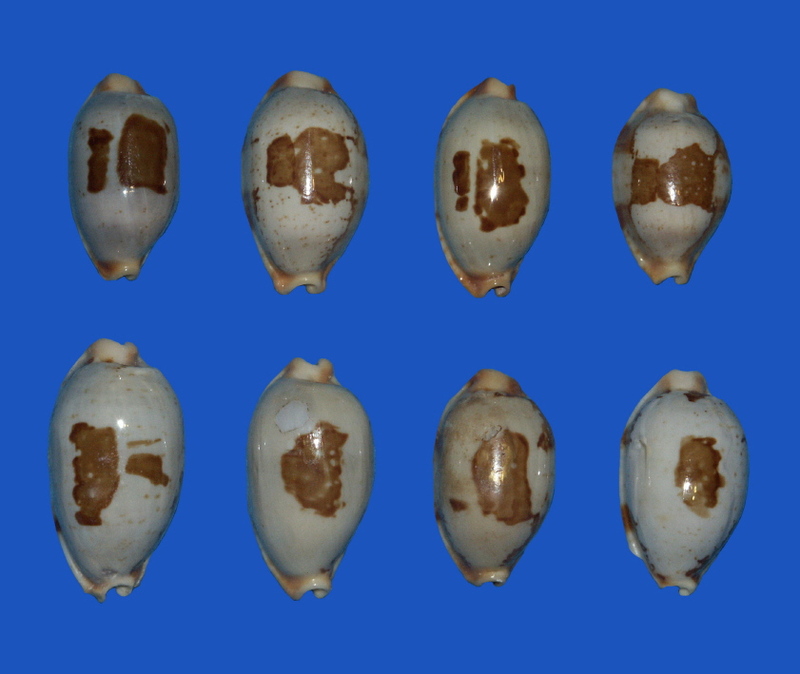 A very limited number of shells, usually found dead, have been collected from south-eastern Madagascar. The habitat is probably the upper sublittoral zone. It is not known if s. brianoi occurs sympatric with s. clavicola and diauges found in western Madagascar. Massier (2004) has described a new Bistolida ssp. unique to the KwaZuluNatal coast of South Africa, known specifically from the mouth of the Tugela River in the northern part of the province to the central Transkei region in the Eastern Cape Province. Uvongo/Shelly Beach is the locus typicus. Beach specimens have been collected at Mtwalumi, Aliwal Shoal and Durban Bay by Rina Matthee and at Richards Bay (the furthest northern locality) by prof. Douw Steyn. Live specimens were found off Pumula and Scottburgh by Valda Fraser and Martin Wallace. 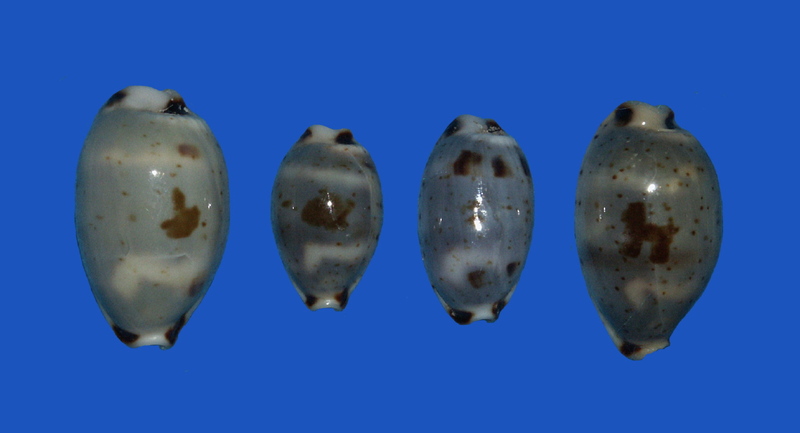 Though only 16 specimens (only one of them taken live) were available to Massier for study, the material presented a shell that differs significantly from its relatives s. clavicola, s. brianoi and diauges. More beached specimens, a few fresh-dead specimens and only three known to be live-taken, have since been identified. Because of restrictions on taking any live specimens along the coast of the KwaZuluNatal Province, it is highly unlikely that many fresh specimens of the ssp. showing full gloss and markings, will become available to collectors. The labral margin is bent up along the entire length and visible when the shell is viewed dorsally. The columellar margin is not well produced and is rounded. The umbilicus which is partly covered by a brown blotch, is deep and completely covered with callous. The aperture is almost straight, gently curved towards the posterior end and of the same width throughout. The base has a white to off-white colour and is covered with callous in adult specimens. The columellar teeth are a distinctive feature. They are short along the entire length of the aperture and continue only a few mm onto the base. They also continue into the aperture, covering the well produced fossula. The labral teeth are stronger than the columellar teeth and slightly cover more than half of the labrum. A few teeth towards the posterior terminal reach the margin. The teeth are not stained. Another distinctive feature is the marginal spotting. The spots are extremely small and densely set. The spotting continues onto the dorsum but does not reach the centre. The dark colour of the spots gives the margins, especially the labral margin, a much darker appearance than any of the other ssp. 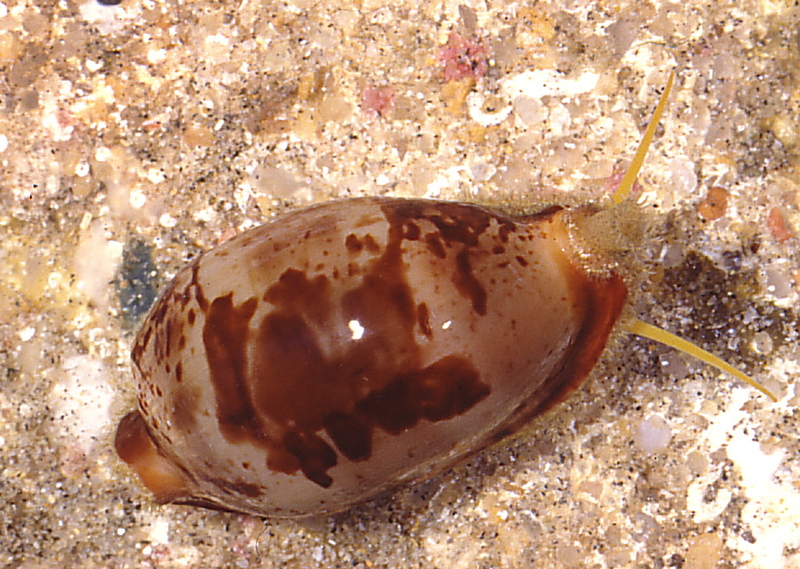 The shell colour is unique greenish-beige with a very large, dark brown, center blotch. The two labral blotches are very small and are positioned at one third and two thirds of the margin and these do not connect with the dorsal blotch. A live specimen was photographed in 2004 by Fraser. [Plate 14] The photo shows a mantle that is fawn-grey with numerous dendritic papillae. The foot is of the same colour, somewhat transparent. The tentacles are lemon-yellowish, tapered from base to tip. The photos do not reveal the siphon nor the animal. The Fraser specimen was found under a loose stone in an area of scattered reef 5 km off shore at a depth of 28 m. Another live specimen was seen by Fraser and her diving partner Wallace along a ridge quite close to shore at the same depth. The second specimen was under a piece of broken smooth-horned type coral. Fraser and Wallace observed that other Cypraeidae found in the same localities included chinensis violacea (ROUS 1905), ziczac misella (PERRY 1811), cribraria comma (PERRY 1811) and owenii vasta. The east African habitat is intertidally in muddy water with seaweed. In South Africa it occurs in deeper water. Woodcock collected live specimens at Mafamete Island in Mozambique at a depth of 1 m under large, dead coral slabs at the edge of a minor reef. Lorenz (2002) reports the sympatric occurrence of s. clavicola and diauges at Pemba Island off Zanzibar and the mainland Tanzania coast. No detailed notes on the animal have been published. Lorenz says it has a grey, fluffy mantle and a white foot with a black line on top. Woodcock reports short, small, dense papillae on a closed mantle with pale, dull, lemon-coloured tentacles. He also reports that the animal does not appear tmid in the least. After harvesting the very dark shell soon fades to the typical specimen colour. The distribution of diauges ranges from the southern Red Sea to the Western Indian Ocean. The figured syntype in Melvill's description and the other syntypes in the Melvill-Tomlin Collection of the National Museums and Galleries of Wales, most certainly all identifiable as diauges, are said to have originated in Mauritius. [Plate 20] This is confusing because no specimens are known from Mauritius. The accuracy of Melvill's typicus locus must hence be considered suspect. The attribution by Allan (1956) of Natal (South Africa) as typicus locus for diauges is also not accurate. The sp. is known to occur on the KwaZuluNatal coast of South Africa but finds of specimens are rare. The description by Lorenz & Hubert's (2000) of the typicus locus as extending from deep water in South Africa to the (southern) Red Sea, is accurate. Specimens with no dorsal blotch and marginal blotches are frequently collected in Tanzania. [Plate 21] they merely show the fine brown spotting on the dorsum. Some specimens reveal a vestige of the marginal blotches on the base of the shell. This is the immaculata form of diauges. In the past this form of diauges was described as s. fluctuans (IREDALE 1935) because of the supposed similarity with the Australian brevidentata in shape, colour and dentition. (Lorenz & Hunert (2000) maintain these similarities consitute a link between the Pacific Ocean sp. and Indian Ocean ssp. 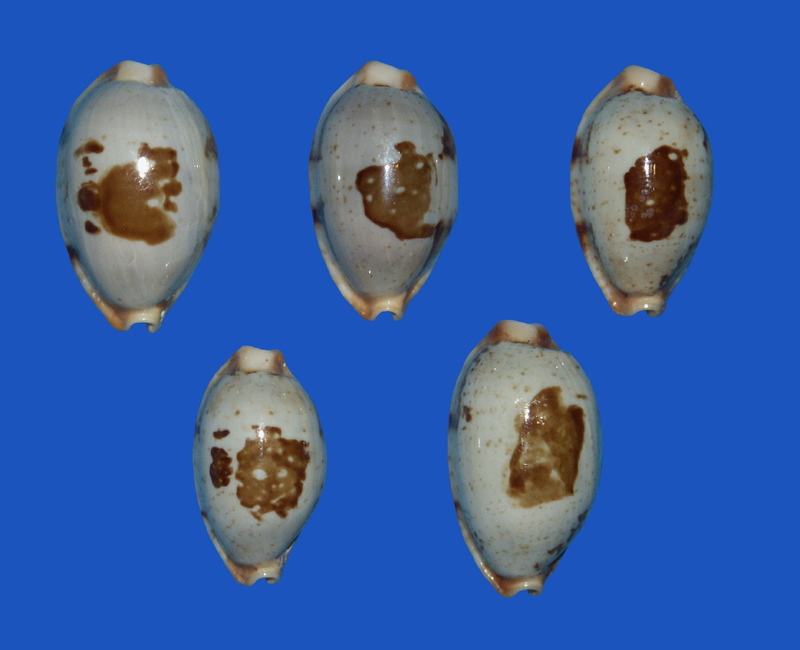 Woltz and Belcher (undated) noted that the shell is slightly more ovate than in diauges, has a length range of 17.8 – 25.4 mm and has a rare occurrence at Tiles and Fungu Mkadya in Tanzania. This form has also been reported from Diani Beach in Kenya. The fluctuans description should be restricted to the brevidentata. 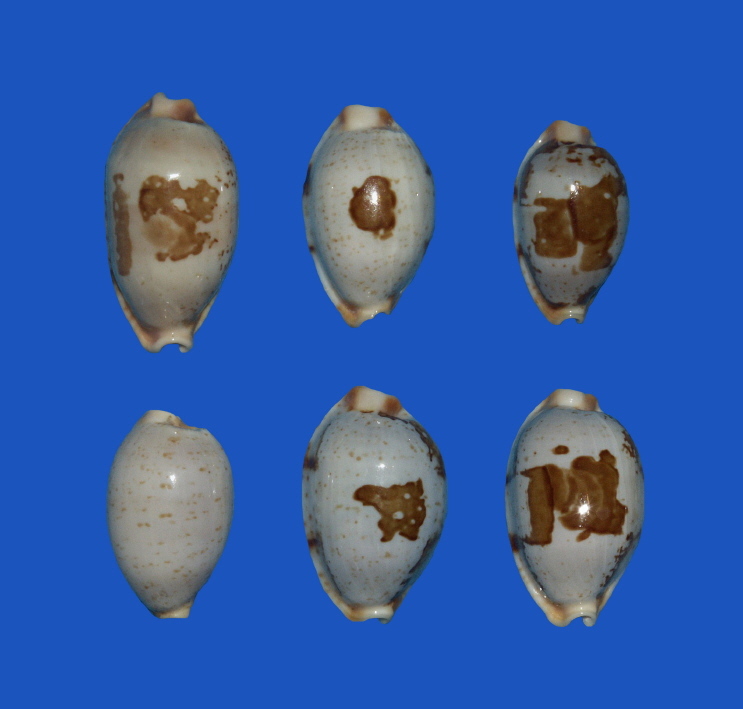 The correct description of these African coast specimens is diauges form immaculata. Melvill also described stolida var. gelasima (MELVILL 1888) with typicus locus Ceylon (Sri Lanka). [Plate 22] He mentions the delicate pale brown spotting, absence of the dorsal blotch and pale fawn extremities which are known features amongst the immaculata forms of both diauges and s. clavicola. Melvill notes that the teeth of gelasima are as in diauges but the dorsum is flattened and that the pale olive green dorsum of gelasima matches the colour description of diauges. Melvill's notes which detail important similarities with diauges in conjunction with photographs of the figured syntype of gelasima, can leave no doubt that gelasima is nothing other than a specimen of diauges form immaculata. Melvill's typicus locus of Sri Lanka is improbable. No diauges has been recorded to have been collected there. The above justifies that gelasima be a synonym of diauges rather than s. stolida. A third Bistolida description by Melvill is stolida var. moniontha (MELVILL 1888) and he introduces it as "A common form, almost a sub-species" and an "… intermediate between the type [stolida] and C. brevidentata". [Plate 23] No locality data was provided for the syntypes but one may assume the specimens were collected in an Indian Ocean region where diauges does occur. His description is of a shell that is not humped but has a rounded dorsal surface. Specimens have a single rounded blotch that is occasionally absent. The sides are streaked and speckled and the teeth are not prolonged and white. The length of the largest specimen studied by Melvill is 3.175 cm. From a study of photos of the figured syntype of moniontha, no evidence can be found that it differs significantly from diauges. The shape of the shell, the structure of the teeth and the description of the dorsal and labral markings match those of diauges. It must therefore be considered a synonym of diauges and not of brevidentata. In Somalia, diauges occur along with s. clavicola but it is not clear from the available collection data whether the sp. and ssp. share the exact localities. The same lack of collection data of shared localities applies to South Africa where the three Bistolida sp. and ssp. (diauges, s. clavicola and s. uvongoensis) occur. Specimes that show apparent integrades have been collected from Somalia and South Africa. [Plate 24] The shell shape is intermediate between the sp. and spp. but in colour and markings, more reminescent of diauges. In the two illustrated specimens from Somalia, the columellar teeth show the abrupt shortening on the posterior side that is associated with s. clavicola. Summarised from descriptions by Lorenz & Hubert (2000) and Heiman (2002). An elyptical to cylindrical shell. The extremities are acuminate and tinged with orange to brown. It has a grey-bluish dorsum revealing three transverse bands (of which the central band is most prominent), dark small spots and a dark blotch. 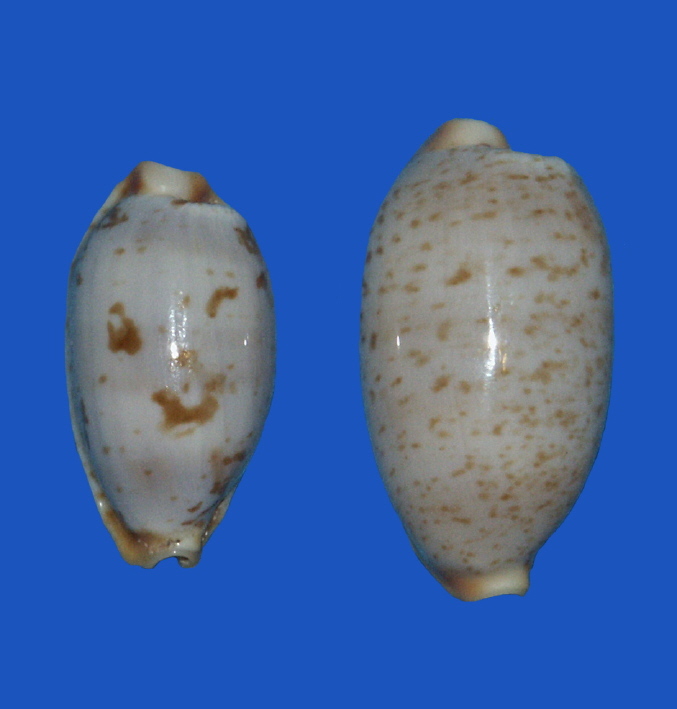 The blotch is not centered and has an irregular form and is mostly positioned towards the posterior end of shell. 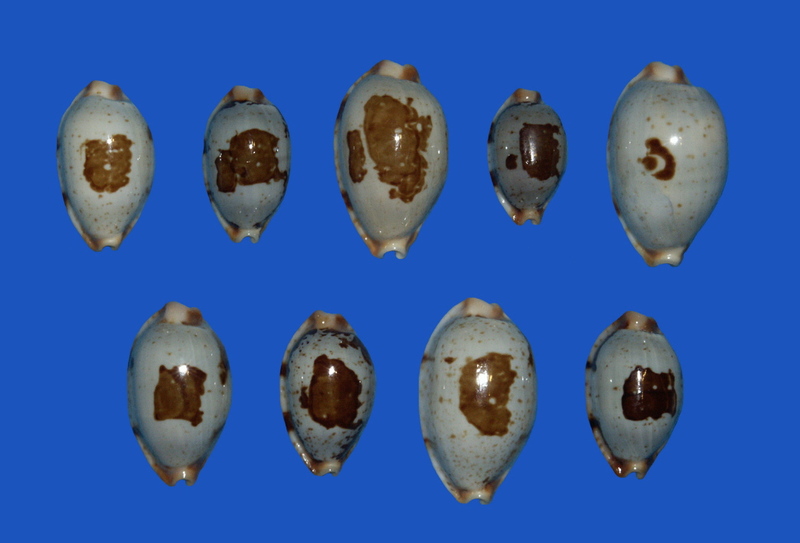 Specimens with a suffused dorsal pattern are known. The base is slightly convex and ranges from white to grey with many red-brown to orange-brown spots. The margins are high but not callused and finely spotted with blotches on the tips. The right margin is slightly angled and visible from the dorsum. There is a complete absence of the marginal blotches associated with other Bistolida sp. and ssp. The teeth extend far onto the base. The labral teeth are well developed. The dental interstices are stained and this is especially visible in fresh specimens. The columellar teeth resemble plications (folds) and reach more than halfway across the base and are never shorter in the anterior part (as is the case with s. clavicola). Heiman notes that the southern Red Sea population (as studied by M. Schilder, 1967) differs in the number of columellar teeth from the Siani population. 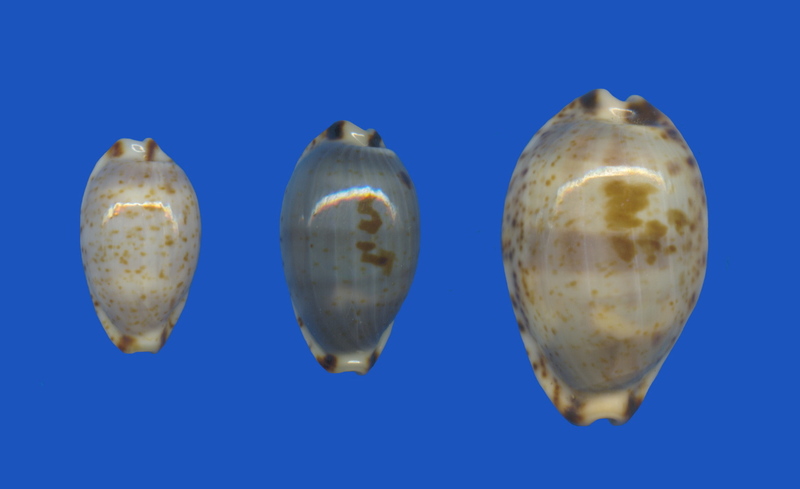 In length the shell varies from 10 – 29 mm. Gigantism, with shells reaching a length of more than 32 mm, occurs. The typical Red Sea habitat, according to O'Malley (1971), is in calmer water, under rock slabs amidst a short, seaweed type of plant growth. An alternative habitat noted by him is on the hard reef, under the base of a type of finger coral. The northern Red Sea populations are found in very shallow water of about 1 m. The southern populations prefer a depth of 5 – 15 m.
Mantle: Transparent gray-white with numerous white papillae. Eyes: Black. Area around eyes also black, fading to light gray a few mm from the stalks. Tentacles: Light orange-red, tapered from base to tip. Proboscis: Light orange-red, with rounded end. Siphon: Transparent gray-white bordered with small white filaments about 2 – 5 mm long. Body: Light creamy-white. Foot: Overall colour is dirty white on crawling area. Top of foot has a distinctive blotch at the anterior and posterior portions. Anterior portion has a white band or margin approximately 0.5 to 1mm in thickness, running across the width of the foot. When viewed from the top, these resemble two white appendages. Posterior portion has a very distinctive black stripe approximately 0.75 – 1.5 mm thick running from the edge of the posterior portion of the foot up the body of the animal. This stripe is made up of small black blotches. According to Woodcock, the animal is capable of autotomy. A specimen collected by him shed a 4 – 5 mm portion of the posterior end of the foot. Autotomy is the ability to cast off a part of the body as a means of defence. The cast-off part remains wriggling and writhing for some time, distracting predators and allowing the animal to escape. The lost part can be regenerated. Amongst sea slugs, Discodoris lilacina, berthella martensi and Phyllodesmium magnum are known to practise autotomy. "The mantle is thin and the shell dorsal pattern clearly shows through it… The foot and the serrated siphon are also grayish white, while the crawling surface of the foot is somewhat lighter in colour. The tentacles are a bright orange-yellow, and strongly contrast with the general grayish-white tones of the animal." Lorenz (1992) found fossil eryhthraeensis from the Pleistocene in the hills behind Magawish Village in Hurghada in Egypt. These include erythraeensis which are identical with living representatives and the ssp. erythraeensis cepaformis (LORENZ 1992). The latter has thin but rostrated extremities, a rather curved aperture, shorter teeth which extend only slightly towards the base and rounded, callous margins which are bent up. The dorsum is irregularily blotched with faint and scarce marginal spotting. The sp. occurs over a vast range in the Indo-Pacific. There is a claim that the most northern range is Eilat in the Gulf of Aqaba. This is a doubtful locality according to Mienis (1974) and Heiman (2002) also questions the presence in the Sinai region from where no specimens were found found during the past 30 years. Tanzania appears to be the furthest southern range. It is known to occur in the Maldives, Mauritius, Seychelles and Massier has a specimen from Reunion. 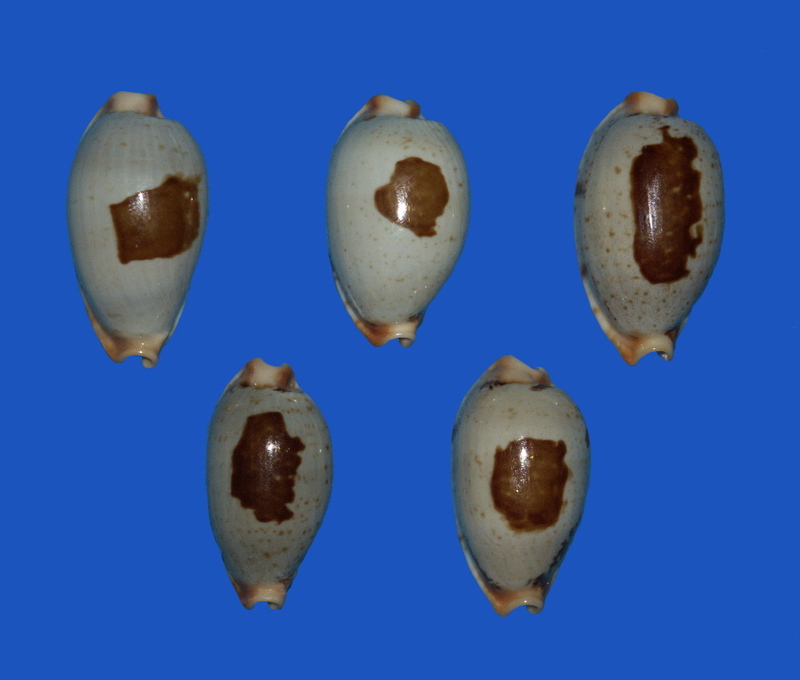 The shell is oval to cylindrical with often pronounced extremities with all four corners of the extremities marked with a dark blotch. The teeth are fine and extend over most of the base. The dorsum has three blue to grey zones and is spotted with brown and often blotched. The margins are finely spotted. The length varies from 8 – 22mm. The habitat is in coral reefs, intertidally to 10 m. [Plate 27] In the Seychelles, h. hirundo and k. kieneri have been recorded to share same habitat near the reef under small coral fragments with brown algae on top at a depth of 0.5 m.
Burgess (1985) describes the animal as lemon-pulp yellow. Papillae are either short, thick and white to bright yellow in colour or long, dendritic and pure white. The tentacles are coloured a bright, deep orange. The fringed siphon is speckled with black. The foot is lemon yellow and discretely studded with black specks. This ssp. is rare throughout its distribution region that extends from the east coast of Africa to Mauritius, Seychelles and Maldives. Cailliez (1981) reported a find of five specimens with big brown blotches similar to saulae saulae (GASKOIN 1843), at Bird Island, north of the Seychelles, in 1981. Massier has a specimen from Barros Island in the Amirantes Archipelago, west of Seychelles. "…in shallow water (2 – 3 m) at low tide under large dead coral blocks on the inside edge of the reef barrier. I first found four live specimens under one dead coral block. A complete search of the entire area produced three more specimens found 10 – 20 m from the original spot. Returning twice over the next few days and spending up to 5 – 6 hours at a time searching in the same general area proved unsuccessful, not even a dead shell or fragment could be found. I suspect that this shallower water location was not the normal habitat of these shells. In 1998-1999 an Indian Ocean temperature fluctuation had badly bleached 75% of the Seychelles coral reefs. Many coral species had been killed with only the largest and hardiest species partially surviving. These cooler temperature fluctuations may have forced the animals into the warmer shallower waters inside the reef barrier." 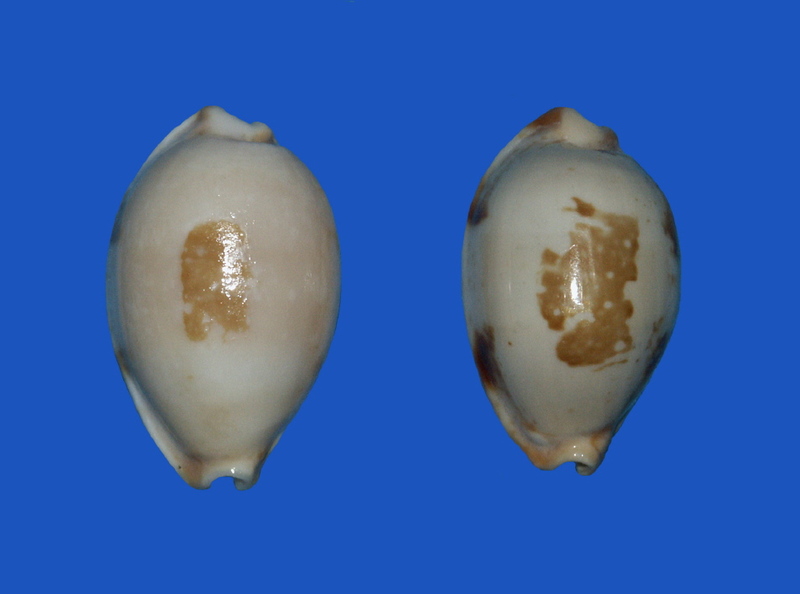 It is possible that the mainland specimens could differ from those from the Seychelles which is the locus typicus. Lorenz (1998) noted differences when examining a 22.5 mm specimen from Nungwi, Zanzibar, Tanzania and a 20 mm specimen from Mombassa in Kenya. The specimens showed relatively short extremities, reduced marginal spotting and a complete absence of the typical darker colour zones of hirundo hirundo. Lorenz lacked a sufficient number of these specimens to come to any conclusion that there is a consistent difference between the mainland and Seychelles specimens. The animal of Seychelles h. francisca specimens differ from the mainland h. hirundo populations. Jarret (2000) describes it as being white nearly al over. The mantle is very thin, pure white and transparent with fairly numerous branching papillae of a fine white colour. The siphon and the foot (ventral and dorsal) are white. The tentacles and proboscis are bright yellow. Jarret's description, however, could also apply to h. hirundo found on Seychelles because he discusses colour and pattern variations of both the sp. and ssp. under the same heading of h. francisca. To this description Woodcock adds that the colour of the mantle is milky white rather than pure white, that the small papillae appeared very slightly longer than usual for a shell of this size and the orange tentacles had dark eyes at the tips. From observations in the Seychelles, Woodcock says that h. francisca group together and that the animals were very timid. The sp. resembles hirundo hirundo but can easily be separated from the former by the markedly attenuated columellar teeth. It is found over much of the Indo-Pacific. Along the coast of Africa, it has a documented presence in Kenya, Tanzania, Mozambique and South Africa and it is known from the Seychelles (Praslin, Curieuse and La Digue Islands), Madagascar, Mauritius and). Bosch et al (1995) recorded its presence in southern Oman. The sp. has a length that ranges from 8 – 24 mm. 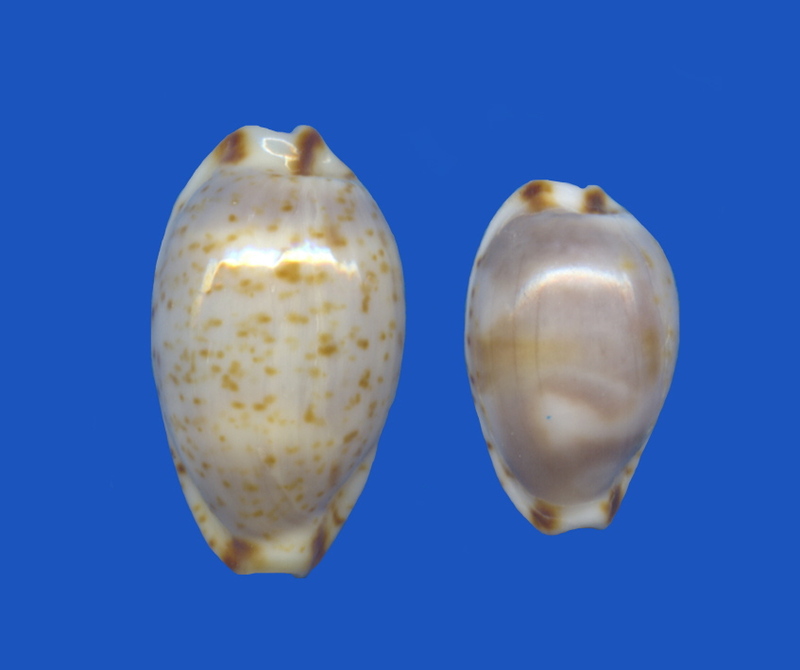 The shell is elongate-oval. The extremities are marked with a dark blotch on each side. The teeth are rather coarse and markedly attenuated on the anterior columella. The base is white and the margins are densely and darkly spotted. The dorsum reveals three blueish-green zones. [Plate 29] A variation from the Indian Ocean islands (locus typicus Seychelles) have more numerous teeth and wide, yellow dorsal zones. These are sometimes named "form reductesignata" after Schilder 1924. 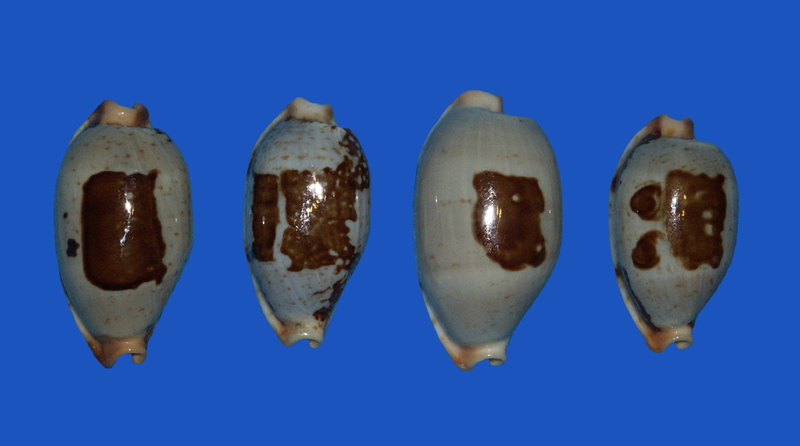 From the description of a specimen from American Samoa the animal is known to be pearl grey with a mantle so thin that the dorsal pattern of the sell can be clearly seen. Some of the tufted papillae are black and cone-shaped while others are white and dendritic. The long tentacles range in colour from lemon-peel yellow to orange-yellow and are tipped with the same but darker colour. The siphon is white and smoothly scalloped. The foot is lemon-pulp yellow, mottled with cream and covered with fine, evenly distributed, black specks. The description by Jarret (2000) of specimens from Seychelles has some similarities as regards the foot (tinged with yellow, covered with numerous black and white spots) and tentacles (yellow) but he refers to a transparent yellow mantle and cream and yellow papillae. David Touitou too confirms a yellow animal in the Seychelles. The habitat is shallow water under algae and dead coral slabs in muddy areas or under stones and in coral on a hard reef and have even been found completely exposed out of the water at low tide. The distribution is largely restricted to the Comoros and the Mascarene Islands. southern Indian Ocean islands of Mauritius and Reunion. 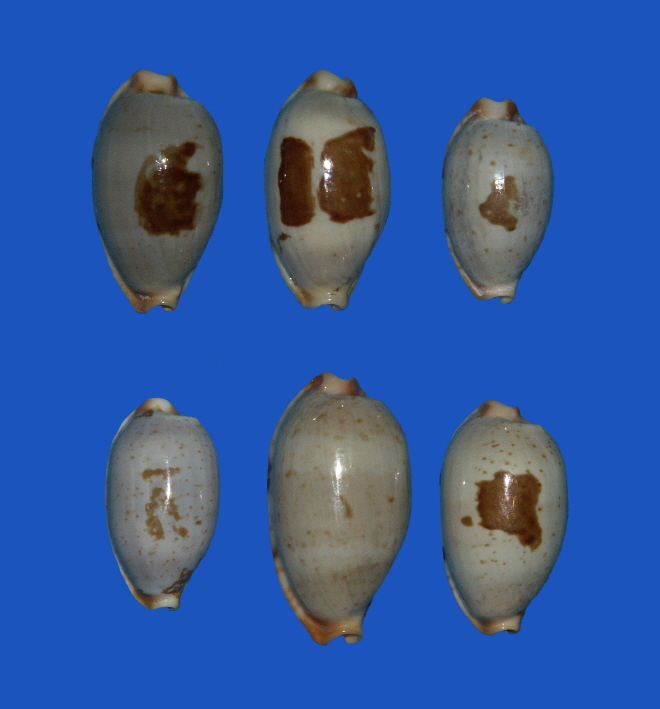 Specimens are also known from Madagascar. Mainland specimens have been collected at Merca south of Mogadishu in Somalia, Mombassa in Kenya, Zanzibar, Tanzania and Coffee Bay in the Transkei region of South Africa. The habitat is in coral reefs from the intertidal fringe to aproximately 100 m. At Diego Suarez it was found in coral rubble at 25 m.
The animal is said to resemble that of diauges (a grey, fluffy mantle and a white foot with a black line on top). This is listed as a ssp. by Lorenz & Hubert (2000) but the authors were of the opinion that it could be a valid species. The distribution range is south-east Africa with specimens recorded from Tanzania, Mozambique, Madagascar and South Africa. Most specimens are ex pisce from 50 m and deeper. Fraser and Wallace found live specimens on low profile sandstone reefs with coral, seaweed and algae at a depth of 15 to 30 m.
Lorenz (1998) described the animal. The mantle of the animal is yellow, somewhat transparent and densely covered with 1 mm long papillae. (Fraser, Wallace and Smith describe the papillae of specimens seen off KwaZuluNatal as sparse, short and raised.) The very long foot is transparent white with noticeable black longitudinal stripes. The proboscis is yellow-orange with a dark ring arund the mouth opening and the syphon is finely frayed. The tentacles are black at the base and red at the tips. The animal is extremely shy and at the slightest disturbance withdraws into the shell. The mantle is extremely fraile. Lorenz postulates that the animal is capable of autotomy. Lorenz has not observed autotomy in live specimens of owenii vasta, but have noted amongst dead specimens the separation of part of the foot at a specific locus. 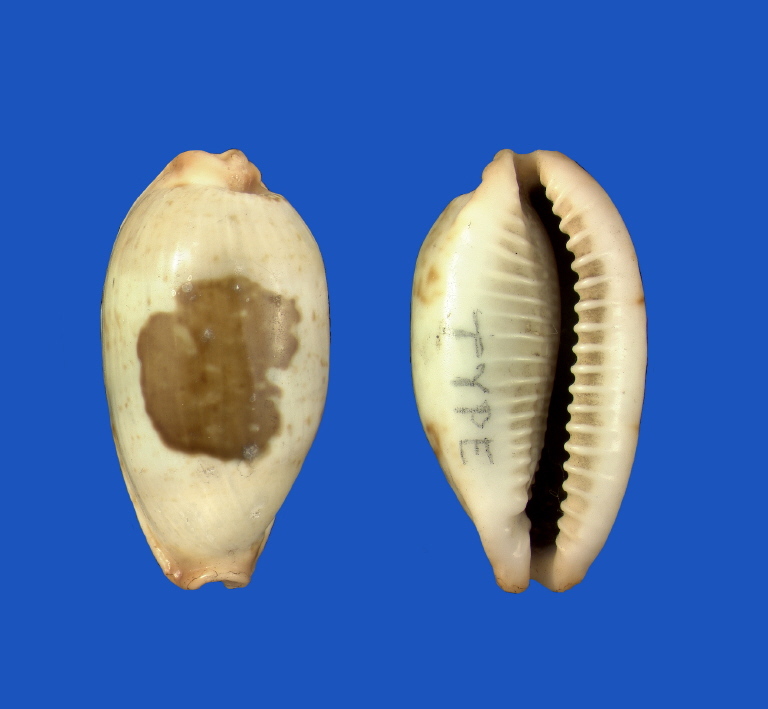 The distinguishing features are that the shells have depressed dorsums, both margins are heavily callussed and the marginal spotting is intense, dark and confluent. The four blotches of the extremities are very dark. In every respect other than the dorsal spotting and blotch, the features of owenii vasta are exagerated in owenii vasta southern form. The southern form specimens share the same locality but perhaps not the same habitat with owenii vasta. To eliminate confusion arising from their presence in the same (southern) region, a more descriptive form name is merited. The distribution ranges of the Bistolida sp. and ssp. in the western Indo-Pacific region in some cases far exceed the descriptions by their authors. The original descriptions of the habitats have also been supplemented with new information. Specimens from the extremes of the distribution ranges, often show differing features that may not be sufficient to justify conchological differentiation or at most may justify a form name, e.g. owenii vasta southern form. Access to previously unexplored localities or the process of reviewing specimens in collections, offer the chance to discover and describe new ssp., e.g. the recently named s. uvongoensis. 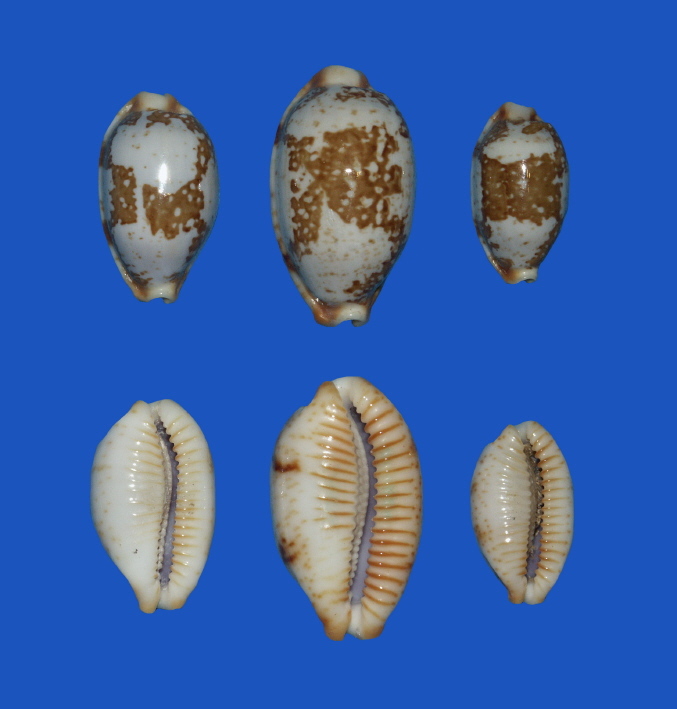 This might also apply to the s. stolida-like specimens from the Sinai Penninsula, Masirah Island, Eritrea and the Maldives but many more specimens of these shells shells, studies of their live animals and detailed locality data must be forthcoming to justify this. The debate about the sympatric occurrence of Bistolida ssp. and sp., e.g. s. clavicola and diauges in Tanzania, continues and has to be resolved. Is there room within the definition of what constitutes a valid sp. and ssp., specifically as regards locality, to accommodate sympatric occurrence even if the justification is based only on different habitats within the same locality? Dealers, collectors and divers alike must be encouraged to record comprehensive data on specimens. Data on the exact locality, descriptions of the habitats and especially notes on the animals will add to our knowledge and benefit all. 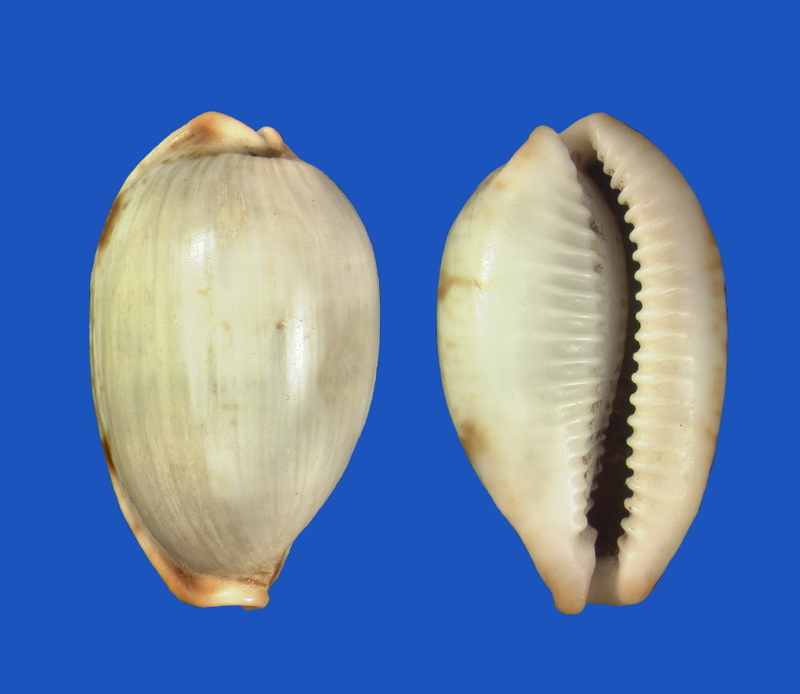 Several marine shell specialists provided valuable specimens, comments, information and research material for this document: Dr. Felix Lorenz jun. (Germany), Werner Massier (Namibia), Philippe Quiquandon (France), Philippe Poppe (Philippine Islands), Ed Heiman (Israel), Mike Woodcock (Georgia) and Val Fraser, Martin Wallace, Rina Matthee, Dawn Brink, prof. Douw Steyn, Vellies Veldsman, dr. Dai Herbert and Gerald Smith (South Africa). Special mention must be made of the kind and unstinting assistance of Harriet Wood, Collections Manager (Mollusca) at the National Museums and Galleries of Wales, for providing research material on the Bistolida diauges, gelasima and moniontha syntypes in the Melvill-Tomlin Collection. The specimens for the accompanying plates, except where indicated otherwise, were photographed by Stephan Veldsman. Val Fraser and dr. Dai Herbert (South Africa) respectively photographed the live spcimens of stolida uvongoensis and stolida clavicola. James Turner, Biological Photographer (Mollusca) at the National Museums and Galleries of Wales photographed the Melvill syntypes. PLATE 1: Selection of stolida stolida (LINNAEUS 1758) from various localities. PLATE 4: stolida var. (LINNAEUS 1758) "red tooth"
Photograph by Valda Fraser, South Africa. Biological Photographer (Mollusca) at the National Museums and Galleries of Wales. at the National Museums and Galleries of Wales. Fraser, V., 2004: Correspondence with R. Watt. Fraser, V., 2004: Interviewed by R. Watt. Heiman, E.L., 2004: Correspondence with R. Watt. Herbert, D., 2005: Correspondence with R. Watt. Lorenz, F., 2005: Correspondence with R. Watt. Massier, W,. 2005: Correspondence with R. Watt. Matthee, R., 2004: Interviewed by R. Watt. 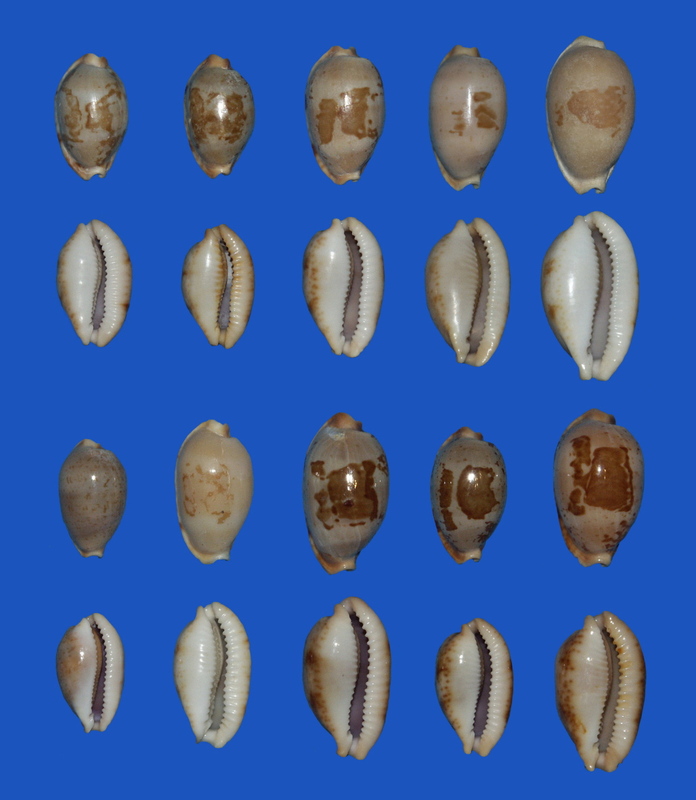 Melvill, J.C., 1888: A survey of the genus Cypraea (Linn. ), its nomenclature, geographical distribution and distinctive affinities;with descriptions of two new species and several varieties. 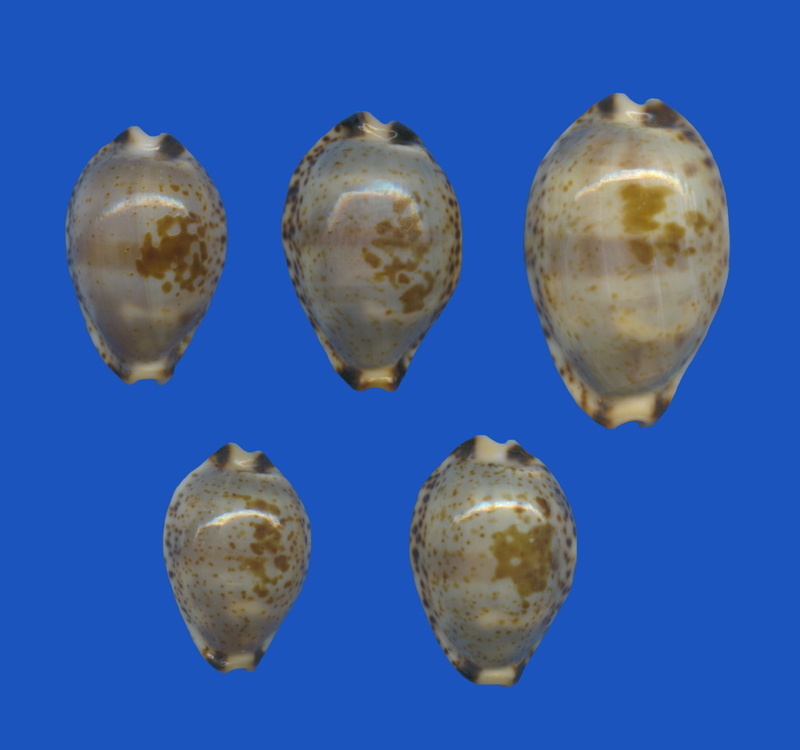 Robin, A., 1974: Can Cypraea pantherina Cross Breed? Rosa, G. & Granja, P., 10.03.2003: Collection data. Smith, G.,: Interviewed by R. Watt. Steyn, D., 2004: Interviewed by R. Watt. Touitou, D., 2005: Correspondence with R. Watt. van der Walt, V., 2.9.2002: Collection data. Wallace, M.R., 2004: Interviewed by R. Watt. Woltz, C.C. Jnr. & Belcher, D.B. : Collecting cowries in Dar es Salaam. Woodcock, M., 2005: Correspondence with R. Watt.